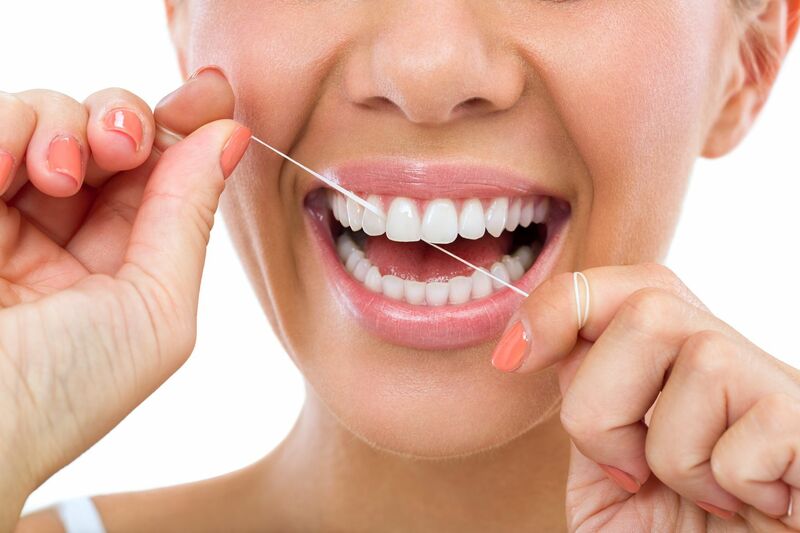 Although there is a great debate among some as to the true benefit of flossing, it has been proven that failing to clean our teeth sufficiently causes decay, pain and an unsightly smile. Therefore, it stands to reason that failing to clean the tiny gaps between our teeth and gums will also cause exactly the same problems. These areas are known as interproximal areas, which is why you may also hear flossing referred to by your dentist as interproximal cleaning. Access to the interproximal surfaces is extremely limited and they cannot be reached sufficiently with just a regular toothbrush, no matter how well or what angle you brush at. This makes it easy for microscopic bits of debris to accumulate, creating the perfect breeding ground for decay-causing bacteria. Although antimicrobial mouthwashes can kill the bacteria that form plaque, it simply cannot remove the stubborn tartar that forms above and below the gum line. Tartar comes with its own set of dental problems including receding gums, gingivitis and periodontal disease. One of the biggest reasons you should floss is to protect against gum disease. Tartar contains bacteria that can irritate and damage your gums. The mildest form of gum disease is known as gingivitis. At this stage, it is usually treatable with a robust routine of brushing, flossing, antiseptic mouthwash, and regular professional cleans from your dentist. However, if left untreated it can lead to a condition known as periodontitis. This happens when the interproximal surfaces get so clogged with tartar that pockets open between the teeth and gums that get infected by bacteria. Your body’s immune system will respond to the infection by sending out a chemical to fight it, but the battle can cause a combination of bacteria and chemicals that can seriously damage the soft tissue and bones that hold your teeth in place. In patients with advanced periodontitis, tooth loss is common. Cavities and decay can only occur when a tooth is covered in plaque and as we know, flossing daily can help to prevent the formation of plaque and tartar. This means that flossing is instrumental in preventing decay, particularly as when a tooth is free from plaque, a healing process called remineralization can take place that reverses the effects of cavity formation. Tooth decay can be extremely painful, and treatment for extensive decay and associated problems can be expensive. By incorporating flossing into your daily oral hygiene routine, you can reduce the likelihood of dental pain and the need for expensive and invasive dental treatment. There is overwhelming evidence that has shown that gum disease can increase your risk of developing many serious health complications¹. This includes stroke, arthritis, diabetes and heart disease. It has even been linked to problems in pregnancy and dementia. This is because one of the side-effects of autoimmune responses to illness and infection is inflammation. For some people, their immune system reacts so strongly that it causes too much inflammation which then doesn’t always rectify itself. Intense gum inflammation can have an impact on the blood stream and is believed to cause damage to cells in the body, which in turn can create a plethora of health problems, including those described above. In fact, inflammation of cells has even been cited as a major contributing factor to the development of some cancers². The American Dental Association still maintains that flossing is effective when performed in conjunction with brushing and regular visits to your dentist and with strong evidence linking oral and overall health, who are we to disagree? If a few minutes of flossing a day could keep the doctor away, then it is time very well spent.